Purified water is high-quality drinking water that is produced using the most advanced treatment processes available. Treated water from our wastewater facilities is reused for irrigation and industrial processes. But with today's technological advancements, we can take the next step. Water passes through several phases of membrane filtration and disinfection using advanced water purification. This multiple-stage treatment process transforms the treated wastewater into a safe, reliable drinking water supply. 10 million gallons per day of water, to supplement the city’s drinking water supplies. 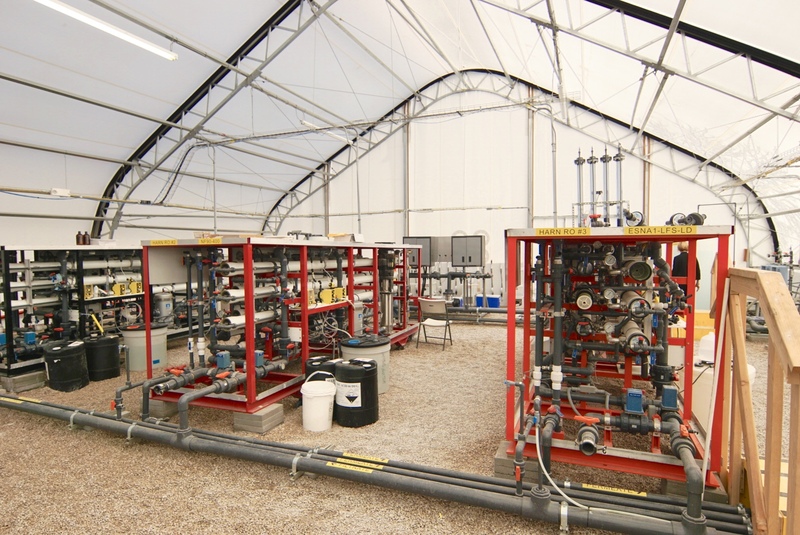 Unlike other potable reuse facilities in the United States, which return drinking water to a treatment plant or blend with other raw water sources, the Advanced Water Purification Facility will use a direct-to-distribution approach, with the purified water flowing directly into the drinking water distribution system. EPWater meets the challenge of serving a Chihuahuan Desert city by conserving water resources and diversifying the water supply. We balance water from the river and two underground aquifers and recycle treated water from our wastewater plants. However, upstream climate conditions can reduce river water supplies, and El Paso's population continues to grow. We need additional water resources to meet our customers' demands. Purified water is a sustainable, drought-proof resource. As the population increases, there will be more treated wastewater to purify. Advanced water purification makes sense for El Paso. The pilot testing successfully demonstrated that highly purified water can be consistently produced with this process. Thousands of water samples were analyzed at state-certified laboratories showing that the purified water meets and performs better than all primary and secondary drinking water standards. Results of the pilot test were submitted to the Texas Commission on Environmental Quality. TCEQ has reviewed the pilot facility data and other information on the Advanced Purified Facility and gave EPWater approval to proceed with design of the full-scale facility. TCEQ will review and comment on the plans and specifications before construction begins, and their final approval is needed before the plant goes on line.